From visual novelties like an asymmetrical rear end and a headliner inspired by a pebble dropped into a pond, to functional charms like a sliding and reclining rear seat, the Nissan Cube is a fun car to explore. Better fuel economy and a more refined powertrain would help make it more competitive. Great for storage and travel! 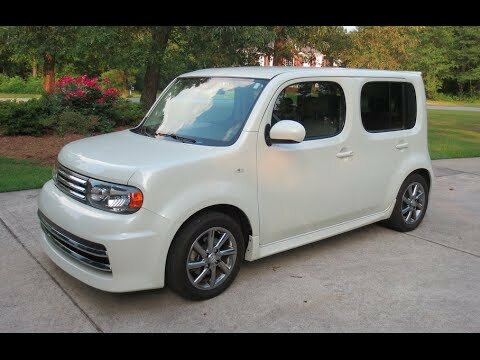 The Nissan cube is very cute and easy to drive. It is not too big but still has a lot of space for storage. It is good for long trips and commuting to work daily. I like that it locks once we start driving but the sound it makes when locking is quite loud. You get used to it pretty quickly though, and it is less startling. My experience counts and can be depended upon. Very comfortable back seat can handle 3 people fuel economy is terrific and style is beautiful. Has most all the options I want. Handles on the road well. I feel good driving it. I take it on log trip down south and am pleased with the entire handling economy and room for luggage. How smooth the ride is despite being shaped like a box. I like how much space it has inside as well as the storage. I don't like the shape of it, as it could be more aerodynamic. I also don't like how many blind spots the car has.